As part of covering outdoor equipments and utilities, today we will be showing some best small bike sheds on Amazon to buy online. Small bikes are for freedom. Every family with young kids own one or more small bikes for easy and comfortable moving of their kids. Cycling is like a passion for many kids as well. But as an owner of a small bike or cycle, you need to make sure you take proper care of your small bike. Yes, when bikes kept in open air, it could hurt the longevity of your small bike. You need to ensure you have the best possible storage for your small bike(s). We believe the best storage is strong, secure, dry and just big enough to store your bike(s) and related gears. If you own one or more small bikes, you should pick one of the following exciting small bike sheds to have a perfect storage solution for your bike(s). Space saving size (78.7"L x 65.7"H x 31 1/2"W, fits two adult bicycles with room to spare) and water shedding design to easily stash two adult bikes, pool floats & supplies, kids toys, lawn mowers, long handled garden tools and other outdoor gear. A small storage sheds for bikes to get for best price. One of the simplest most solutions to storing your small bike is Wealers Outdoor Portable Garage. 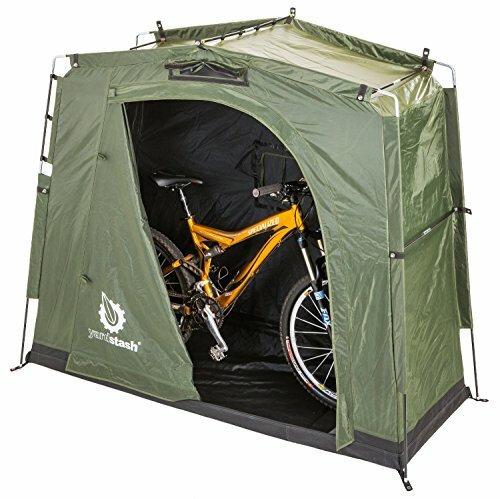 It’s portable, waterproof and big enough cover-like small bike shed you can pick especially if you have a budget constraint. It accommodates up-to two adult bicycles. 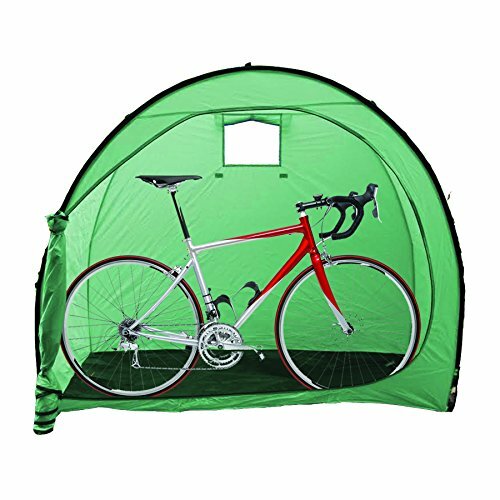 One of the best outdoor bike storage sheds for cheap price. This is a better option than the previous one with a very affordable price. This smart small bike shed has a height of 65’’, width of 74’’ and depth of 30’’. Full top and both zippers allow you to easily take your bikes in and out. Use of polyester as its core material makes it completely waterproof. Setting up the shed takes less than 15 minutes. Over 71 percent 5 star reviews on Amazon talk enough of the level of satisfaction customers had buying this tent. This one too accommodates up-to two standard adult bikes. 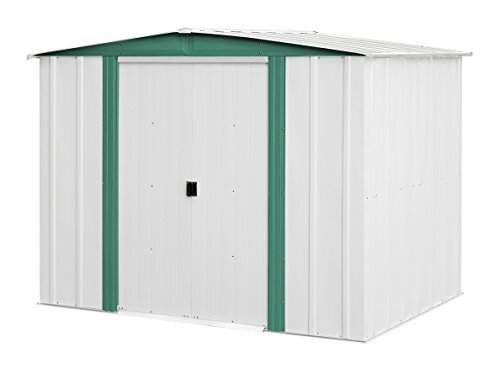 Arrow Hamlet HM Steel Storage Shed is designed to store anything from bicycles, pool supplies to garden and lawn equipments. It is made of electro-galvanized steel for resistance to UV rays. The size of the shed is 8 feet by 6 feet. So, you can expect to accommodate multiple small bikes and some other garden or lawn equipments as well. The shed comes with a 12 year warranty. 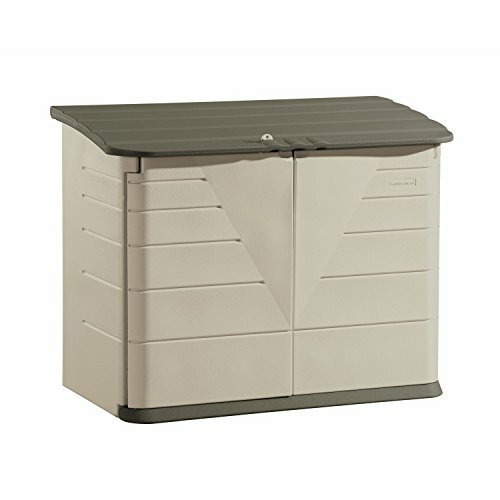 The Rubbermaid Horizontal Storage Shed offers you greater variety in terms of the size. There are four different sizes of it with the largest one having 96 cubic feet of space and the smallest one with 17 cubic feet of space. But the smallest one is not a right feet to accommodate a small bike. 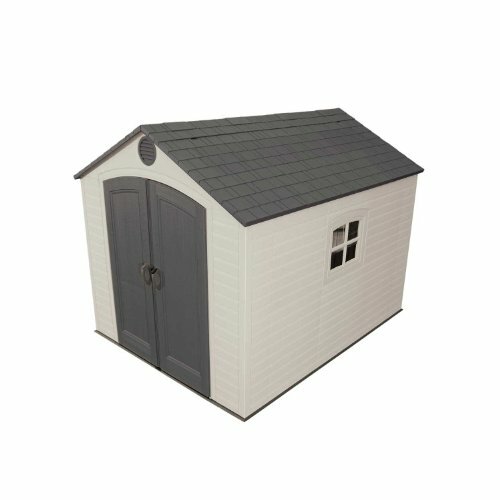 The shed is completely weather dent and leak resistant as it has impact resistant flooring and heavy duty plastic as the core material. Its double wall construction provides added strength. It might be a little too costly if you want to store just a single bike. Thus, it should be pick only when you want to store multiple bikes and few other accessories. 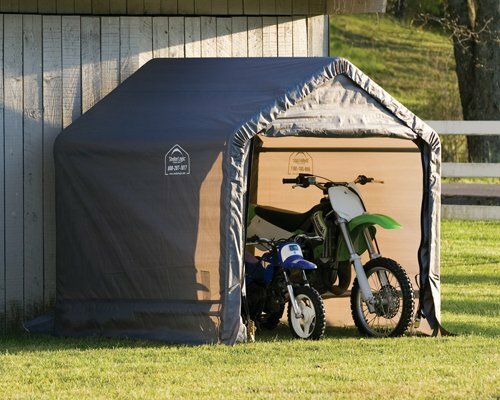 ShelterLogic Shed-in-a-Box is particularly designed to store motorcycles but it can be a perfect option to store your small bikes as well. It comes with six different sizes. So, you can pick one of the largest ones to store both your motorcycle and small bikes. If you intend to store only small bikes, you can easily store three bikes in the smallest shed (6 feet by 6 feet). It’s strong, weather resistant and waterproof. Assembling takes a little time and can be a little frustrating for the first time. It is something between cover-like and permanent stage solution. Among all the bikes mentioned in this article, price of this shed looks most reasonable to us. 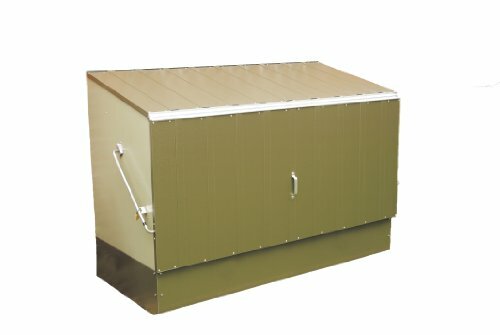 If you are looking for something as almost permanent storage solution for your bikes and many other kinds of household accessories, grab a Lifetime 6405 Outdoor Storage Shed. Yes, it’s costly but you can expect to store plenty of things in its 8 feet by 10 feet space. Shelving, skylights and windows make it a small, comfortable little room perfect for storing. It comes with 10 year limited warranty. Available in green and cream colors, this Bosmere Trimetals A300 Bicycle Storage Unit might not be as popular as the ones mentioned above because it is the costliest option to store your bicycles. With dimensions of 77″ x 35″ x 52″, you can expect to store up-to 3 mountain, racing or standard bicycles. Special PVC-coated galvanized steel is used to make the shed, making it really durable and strong. Its spring assisted opening action provides you with easiest access to your bikes. It also comes with stainless steel exterior fixings and aluminum hinges and rivets. So, you can be completely sure to have maximum protection for your bikes. Picking one of the above mentioned small bike sheds based on the number of bikes and budget you have, you can ensure your bikes are protected from sunlight, water, dirt and dust even in the unfavorable weather conditions. Many people do not want to buy a small bike shed thinking that they can easily make one themselves. While it can be a good option for many, your DIY small bike storage shed might not offer you some of the most notable features most of the above mentioned sheds have. So, your small bikes may remain unprotected during the unfavorable weather conditions. If you still plan on making small bike storage shed yourself, make sure you learn about the features of the above mentioned sheds so that you can add the features. Again, when you decide to do the shed yourself, it might cost you more than what you might initially think it would. Maybe you can watch multiple videos of making DIY bike storage sheds to have an idea what it really takes to make one. Best of luck with your biking!